Where your floors are installed right. 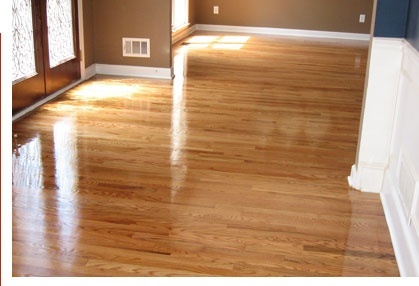 Atlanta Floor One is the flooring company of choice of many homeowners in Alpharetta, GA and the surrounding areas. We are an established contractor delivering quality workmanship and professionalism in every floor installation and repair project entrusted to us. We are staffed with a trustworthy team, so rest assured that we’ll deliver unmatched services you deserve when you employ our service. Rudy Kavanroodi is the man behind our successful flooring business. He started working in the flooring industry in 1998 as a simple installer. Rudy has been installing floors since then, but now he mostly manages his workers. He has hands-on experience in installing any type of flooring, which he uses in working with clients during a consultation and while overseeing the work of his team. Rudy has also attended classes to keep up with the newest information, train his team properly, and have them attend flooring classes as well. Be it installation or restoration, we are the expert to trust. Make us your preferred flooring company today, and rest assured that the quoted price won’t change, and that your job will be handled promptly and professionally. You can reach out to us through the contact information listed on this website for more details. We would gladly walk you through the various floor installation projects we have done for your reference.